Does the Popcorn Hour NMT C-200 play Blu-ray? Some say yes and some say no. If you have a compatible BD drive installed in the Popcorn Hour, the media tank reads unprotected Blu-ray contents with no problem. The problem is most of the time we play copy-protected retail bought Blu-ray discs, instead of region-free and encryption-free ones. Popcorn’s Firmware update comes far behind the update of BD protections, rooting in Blu-ray playback issues such as stutters, frames drop out, out of sync, etc. 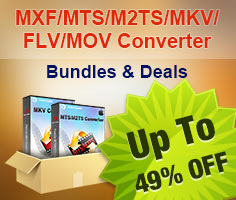 Since Popcorn Hour streams and plays all kinds of video and digital media from storage device and network or from the Internet, you are advised to rip the Blu-ray to hard drive with Pavtube Blu-ray Ripper for Mac, and use the NMT C-200 to play the M2TS streams from BDMV folder or region-free Blu-ray ISO image over the Internet (NAS). In this post I’d like to share an easy workflow of ripping Blu-ray movies to be compatible with the NMT C-200. By the way, this is a Mac solution, if you’re working with Windows platform, please check ripping Blu-ray movies to play back on NMT Popcorn Hour C-200 on PC. Step 1. Hook the external BD drive to your Mac, run the Blu-ray to NMT C-200 Converter, click "BD/DVD Folder" to load Blu-ray streams from Blu-ray disc. Step 2. Click on the dropdown list of "Format" and select output format for NMT C-200. The Popcorn C-200 plays almost everything, so any format is OK. Here you’re recommended to follow “HD Video”>> “MPEG-TS HD Video (*.ts)” or "Copy"> "Directly Copy". The former is good for streaming transport and the latter backs up Blu-ray M2TS streams to Mac hard drive without any quality loss in the fastest way. Step 3. 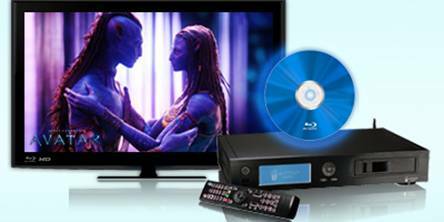 Click "Convert" button to start ripping Blu-ray movies for streaming to NMT Popcorn Hour C-200. As soon as the ripping task is completed, you can click "Open" button to find the hacked Blu-ray movie clips, and then connect C-200 to the network attached storage and home theater system for beautifully playback. Tip: You might also get 1:1 full back up of Blu-ray BDMV folder and have NMT Popcorn Hour C-200 navigate to M2TS streams as well as menus and titles. Simply load the Blu-ray disc and click “Full Disk Copy” button to create a region-free BDMV copy on your hard drive. Note that “Full Disk Copy” feature can be used three times only in the trial version. 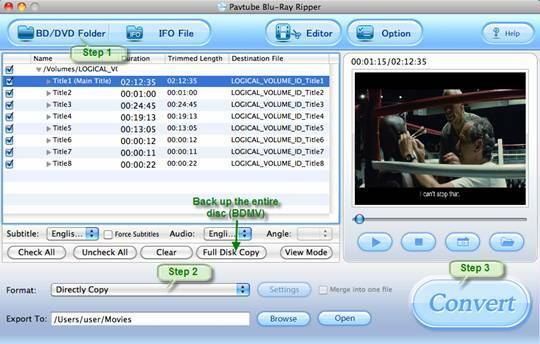 The Blu-Ray Ripper for Mac also provides with other formats (MP4, AVI, MKV, WMV, MOV, M4V, TS, VOB, etc) and presets for PS3, PSP, Zune, Creative Zen, iPad, iPhone and versertile Android smartphones.